Every time we try to catch up on the news, negative stories constantly seem to dominate the headlines. There’s a reason why we say some things “restore our faith in humanity” – it’s because we rarely get exposed to the wealth of good things happening around us everyday. That’s why every week, we bring you a roundup of some of the biggest news stories about good things that happened around the world to help brighten your day. Matt White was carrying some groceries to his car when a teenager named Chauncey Black approached him offering to help in exchange for some donuts. White decided to take up the teen’s offer. He got to know Black a little more and found out the boy and his mother were homeless. White wanted to do something to help the teen and set up a GoFundMe page. Over $250,000 has been donated by random strangers to help Black and his mother get a second chance at life. 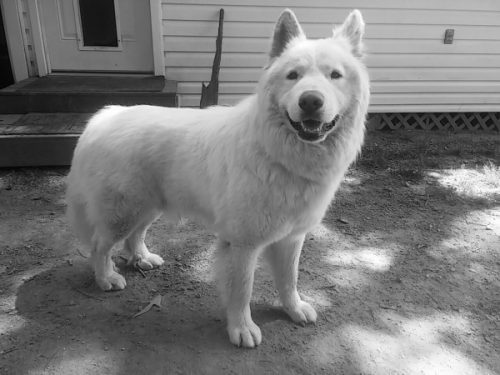 Sherlock the big fluffy dog is lucky to be alive. He was rescued from a shelter in Tennessee a day before being euthanized. Now he is in training to be a service dog for a boy with autism. Sherlock is extremely friendly and he is apparently the perfect companion for his eight-year-old owner. Harvey Andrew and Virginia Knowlton are well passed their high school days. But the two seniors from Agassiz, BC, received their diplomas last week. Andrew, 62, dropped out in the early ’70s to help his family. Knowlton quit school in Grade 9 when she had to take care of her siblings. The Agassiz Centre for Education (ACE) gave Andrew and Knowlton a second chance of going back to school. The ACE program is specifically for seniors who want to complete their education. “I accomplished something I didn’t think I could do, but I did it. I am very proud,” Knowlton told CBC News. James and Jace Papenhausen are colourblind brothers from San Diego. They have never been able to see a full spectrum of colour, until now. Their dad bought them a special pair of glasses that helps colourblind people see all colours. Immediately after putting the glasses on, the brothers burst into tears and were left speechless because their world was finally full of bright hues they never experienced before. To call Morgan Long inspirational would be an understatement. The 19-year-old is terminally ill with a brain tumor but she refuses to let her sickness bring her down. Long does not want to end her life with her loved ones being sad. Instead, she has decided to hold her own celebration of life party where friends and family can commemorate her legacy in a positive way. When Tayloni Mazyck was 11-years-old she was shot by a stray bullet and paralyzed. Three years later, she is graduating from her middle-school at the top of her class. After the shooting, Mazyck was depressed and battled PTSD. But she overcame the most challenging part of her life to pave a way to future success. “Today, I am a winner. My mishap does not define me. It does not limit me. It just helps the fighter in me stay alive,” Mazyck said during her commencement speech. It may look like a shipping container but step inside and it’s actually a classroom equipped with computers. The ZubaBox is changing the way people in developing parts of the world get access to education. The boxes have been installed in Ghana, Kenya, Togo, Zambia, and Zimbabwe. Up to 11 people can fit inside the box and it runs on solar power. Julie Stroyne finished saying ‘I do’ when she sprung into action to save a life. The 24-year-old trauma nurse was leaving her wedding ceremony when she heard bystanders call for help. Stroyne immediately ran over to see what was going on and it turns out a woman was lying unconscious on a bench. Stroyne knew exactly what to do and began CPR. She revived the woman while looking flawless in her wedding dress. 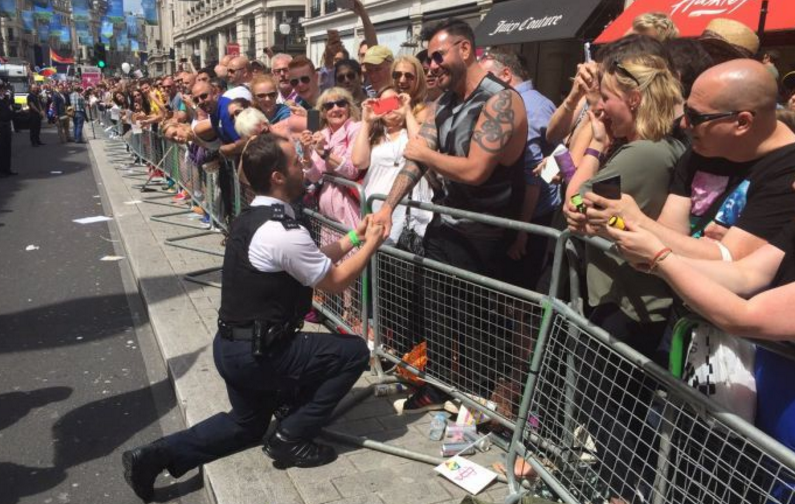 A police officer proposed to his boyfriend during London’s Pride parade. The crowd went wild and the perfect, heartwarming, moment was caught on camera.